"We've gotten a few glimpses of the Samsung Stratosphere SCH-I405 in the wild, but the handset could never seem to sit still for a clear or full-body shot. Now this Verizon-bound, LTE-capable QWERTY slider has been fully revealed." 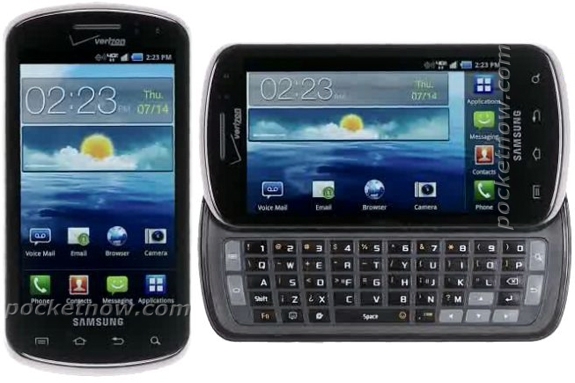 Pocketnow has some very nice photos up of a new Verizon LTE-capable Qwerty slider: The Samsung Stratosphere. Not a bad looking option for those bound to Big V!